GOAT meat will be ready and at the Saturday Worthington Market. Did you KNOW the following about GOAT MEAT? 3 oz of meat is 122 calories. 3 oz. of goat meat is 23 grams of protein and 3.3 mg of iron. Some say it tastes like a cross between pork and dark meat chicken. Our goats are all free range browsers. Daylight Savings Time is here so we simply know that spring will follow soon. Here is a mouthwatering temptation from the past, week 7. OH Goodness!! SPRING, then Summer! Please remember to call or contact us to reserve your own CSA (Community Supported Agriculture) for the 2019 season! IS your body hungry for some FARM FRESH PRODUCE? Don't let it advance to the 'Hangry' stage where hunger meets anger! We are here to help. Sign up and you will receive a weekly or bi-weekly supply of farm fresh produce brought for you to bring to your TABLE! YUM, and HEALTHY are both buzz words we hear and appreciate for your loyal customers. HAY is leaving our farm by the truckloads. We have nutrition for your four legged friends to with HAY. Please contact us very soon, our our supply has sure been dwindling with many hungry animals being served. 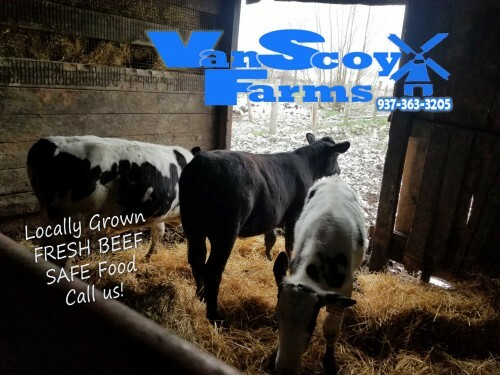 WE aim to please, so we can deliver or you can come to the farm and pick up your supply! Click here for a cool and fun LOGIC puzzle! Ask us if you need the answers or want to double check your logic skills! 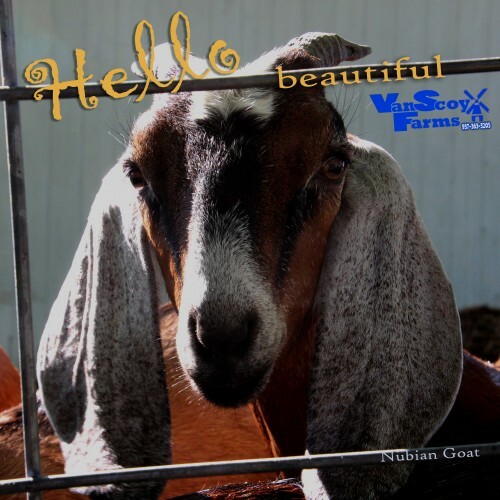 Nubian GOATS have been SUCH a BLAST! Wesley has the newest helpful item set up and ready for use. We are offering a CSA Gift Card in which you may elect to purchase in three different monetary amounts. The gift card offers flexibility in getting the food you want WHEN you need it. No Weekly or Bi-weekly commitment to come and pick up your produce items. (However, you also don't get the fruit and extra goodies that our CSA Customers receive so there is a trade off.) You choose if you need extra cherry tomatoes this week because you are hosting a party or family gathering... You may want some prime juicy pieces of meat for a tailgating party and extra tomatoes and lettuce for those awesome grilled burgers! Gift cards are just fantastic for any family, elderly person (parent), or young professional, or college student to be gifted. The recipient can come to the market and pick and choose whatever they want in the quantities they'd like each visit until the card runs out. AND good news... the card can be re-filled! Customize your food selection! 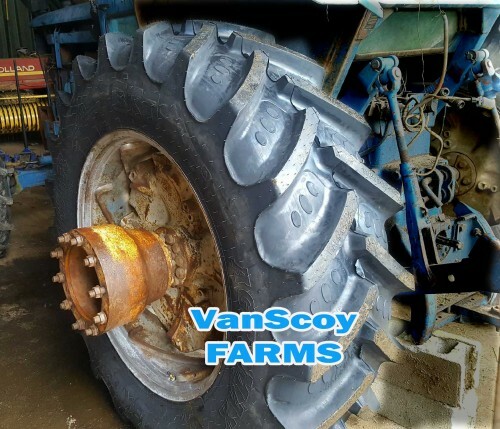 VanScoy FARMS now has the equipment to install new tires, to balance and rotate your tires for a smooth ride. 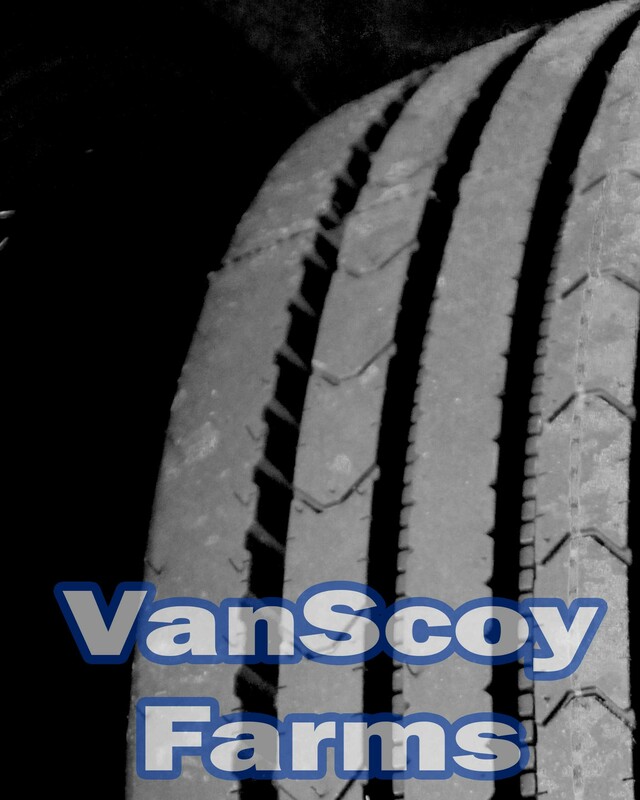 Contact Bill and Wesley for your Tire needs . Call 567-674-4161 (Wesley) (419-674-6437 - Bill) or Text! and we will get you help! 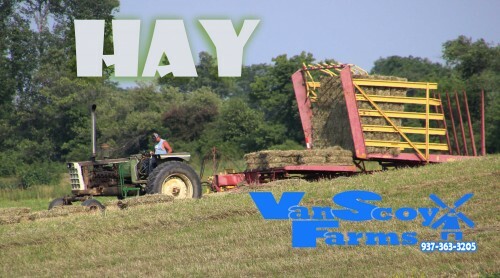 Call or text 567.674.4161 for pricing and specifics.Do you want the freshest of hay? 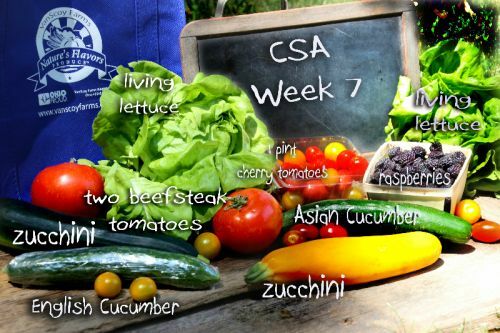 CSA (Community Supported Agriculture) box of food? 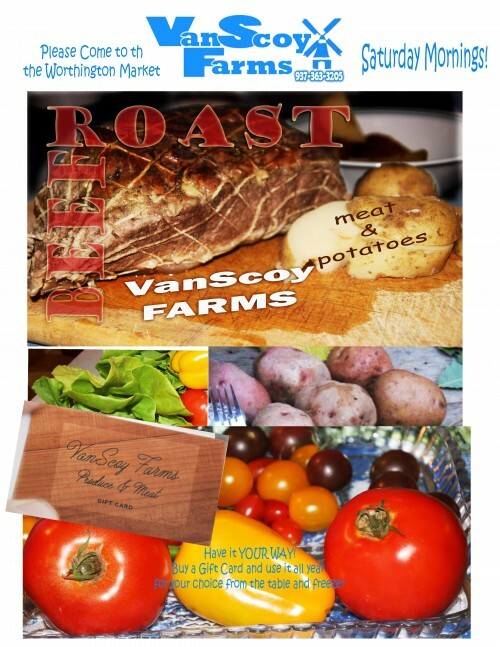 This is a subscription and we bring farm fresh goodness to you on a weekly or bi-weekly basis. You tell us what works best for you and your family. Through farmers markets and our CSA program, we are working to plant & provide you with some of the freshest, most delicious and absolutely local food you can find anywhere. We have room for 10K plants in our big greenhouse. These are planted by HAND, as seen below. We are planting tomatoes and various kinds of peppers. 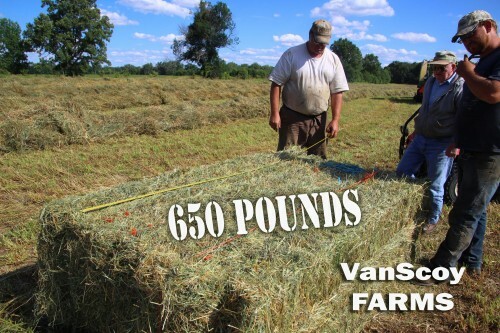 We are an OHIO farm outside of Ridgeway, Ohio with a specialization in greenhouse growing and hay. Learn more about our family on the About Us page! 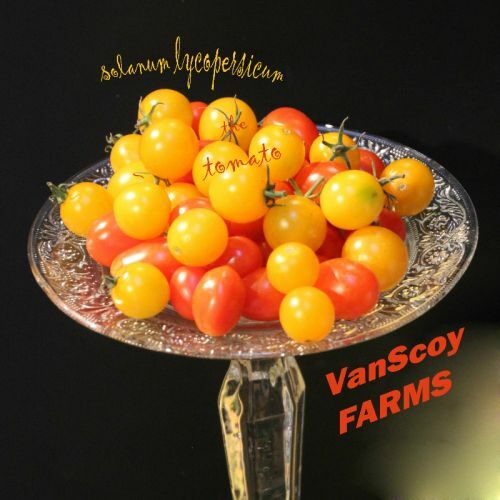 Check out a few videos about our farm!